Over the afternoon, we had a series of conversations about narratives of Occupy, and what research questions we could apply to the available data. A particular area of discussion was the difference (and interaction) between grassroots and mainstream media content; we considered an analysis of artistic responses to Occupy, and an investigation of “co-option” and exposition in artistic works relating to the movement. One thing discussed was the “We are the 99%” Tumblr, a collection of stories of individual struggles that was very popular during and immediately before the Zuccotti Park occupation. What primary themes emerge from the data? 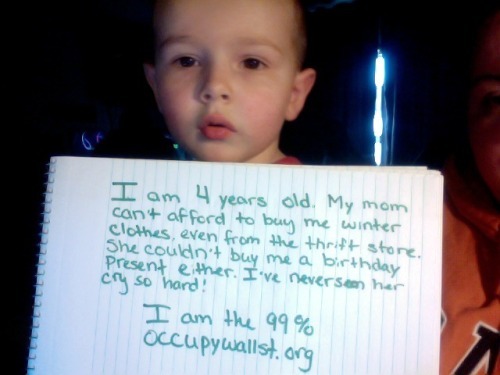 How do these themes shift over time, and in response to world/OWS events?